Julian Omidi talks about the ongoing issue of poverty. 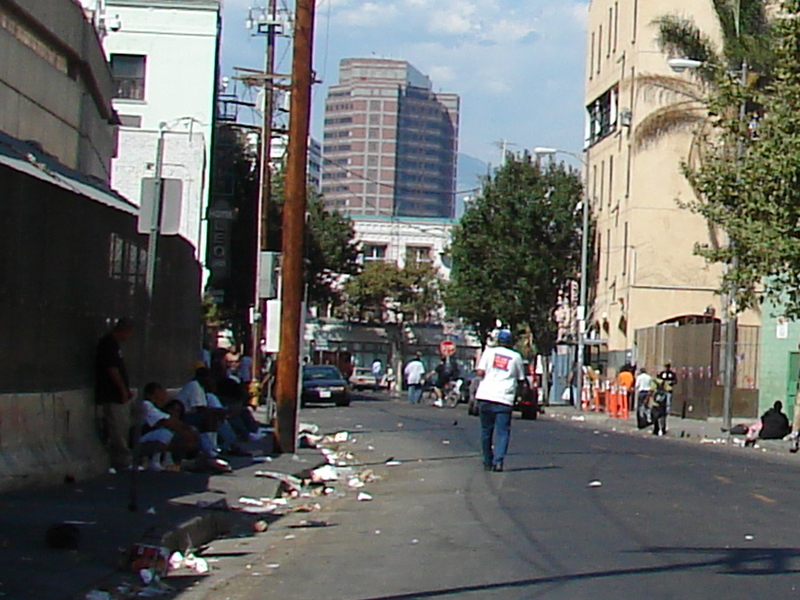 Here, he examines the alarming poverty rates in Los Angeles County. The U.S. Census bureau has released new estimates that show poverty is more widespread in Los Angeles County than in California or the U.S. as a whole. Eighteen percent of people in LA County live below the poverty line. This isn’t a new development, but rather a lingering reminder of just how bad things are for the area’s residents. Poverty rates are even worse, a staggering 20 percent, for county residents who were born in another country. The foreign-born often have a tough time finding work due to language barriers and a lack of social support systems. Los Angeles County is home to many unskilled immigrants who are forced to live on the economic fringes of society. California’s poverty rate was reported at 16 percent, while the overall number for the U.S. is 15 percent. The country has been slow to pull out of the recent recession and still needs job growth. The national unemployment rate is near 5.9 percent, though California’s has stayed above 7.3 percent. The state’s poverty rate likely won’t improve much until the national economy begins to grow. What does this mean for LA County and California? LA County has suffered with chronic poverty for decades. Government programs help many citizens get what they need, but often fall short. High housing costs in the area make it difficult for poor people to find affordable homes and apartments. High unemployment rates create a large group of people starved for work. These people are likely to settle for lower pay, driving local wages down or keeping them stagnate. People in poverty tend to experience higher levels of stress, which makes logical sense. If you have your needs met, you have less to worry about. It’s a simple as that. These problems are not purely economic in nature. The health of our communities is at stake. Money problems can quickly turn into housing and nutrition problems. My brother, Dr. Michael Omidi, and I founded No More Poverty to help alleviate some of these issues. These problems are close to our hearts and we want to do what we can. While government programs do help the less fortunate, they cannot do it all. Find a charity or food basket near you and help out however you can. If you’re concerned about poverty, vote for politicians who share your concerns. Together, we can make a difference. Julian Omidi works with a number of charities. No More Poverty was established by Julian and Dr. Michael Omidi to support individuals and charities making a difference. I, Julian Omidi, have formed a non-profit organization with my brother Michael Omidi in order to combat poverty across the United States and around the globe. No More Poverty is an agency that partners with other like-minded charitable organizations to further their efforts. No More Poverty takes advantage of the social media revolution to help us solicit suggestions for organizations you feel are worthy of our support. Charities you suggest will be featured as a Charity of the Week on our Facebook page. Part of this campaign includes direct donations to these featured charities for every “Like” that the NMP.org Facebook page receives. The purpose of this campaign is to get you involved in philanthropy in an interactive way; you will be doing more than just making a financial donation, you will be a valuable part in an effort to end poverty around the world. Portland Hoop Kings – A basketball program that teaches not only the fundamentals of the game but the fundamentals of life as well to inner city youth. Pacifica Resource Center – A community program that aids residents in Pacifica, CA with food, shelter and housing, and financial programs. Simone’s Kids – This organization helps children in Uganda, but their biggest effort currently is their goal to build a new school and community to provide education to over 300 children. Getting involved with philanthropy is one of the most rewarding things I have ever done and I encourage you to do the same by getting involved with No More Poverty. You can also follow the progress and efforts of No More Poverty by following me, Julian Omidi, through my Linked In account. Lack of Variety in Diet: Another Cause of Obesity?